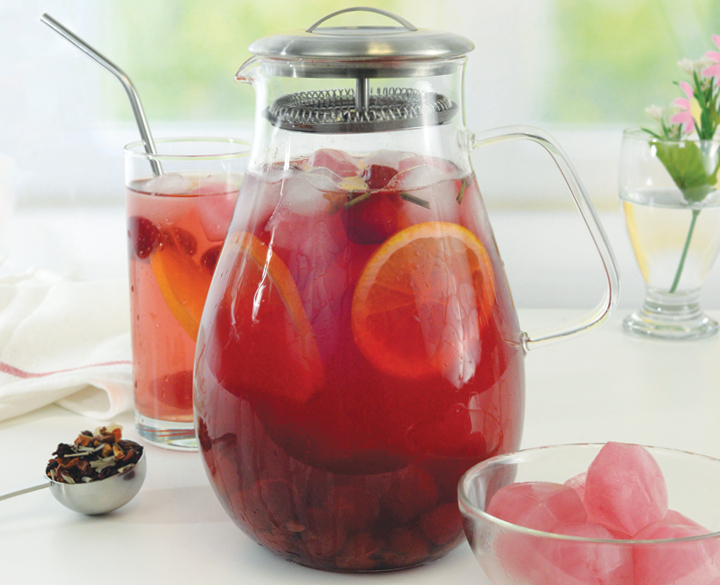 Add Cherry Sangria tea to Sweet Tea Pitcher. Pour in hot water and steep for 5 minutes. Add cold water and continue to steep for 10 minutes allowing the mixture to cool slightly. Add frozen berries, orange slices and 1 cup of ice. Stir, cover with lid and refrigerate overnight, allowing the flavors to develop.